Transform your deck in the back yard into a living room with the Coleman Outpost Breeze Deck Chair. The mesh back allows the breeze to cool you on hot days, wile the angled sitting position and padded solid arms will let you relax in comfort for hours. 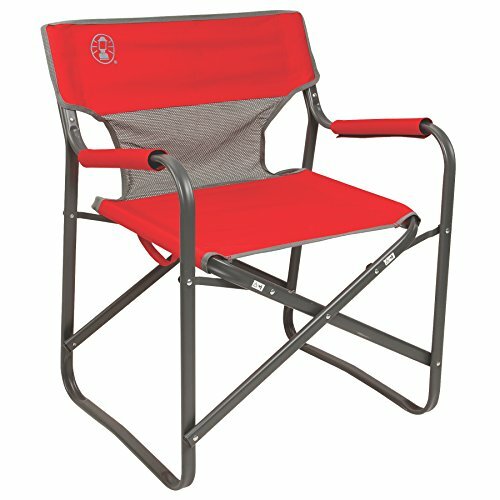 The strong steel frame will make sure you'll always have a great seat, season after relaxing season. When the fun is done, easily fold up the chair and take it away with one hand using the convenient carry handles.